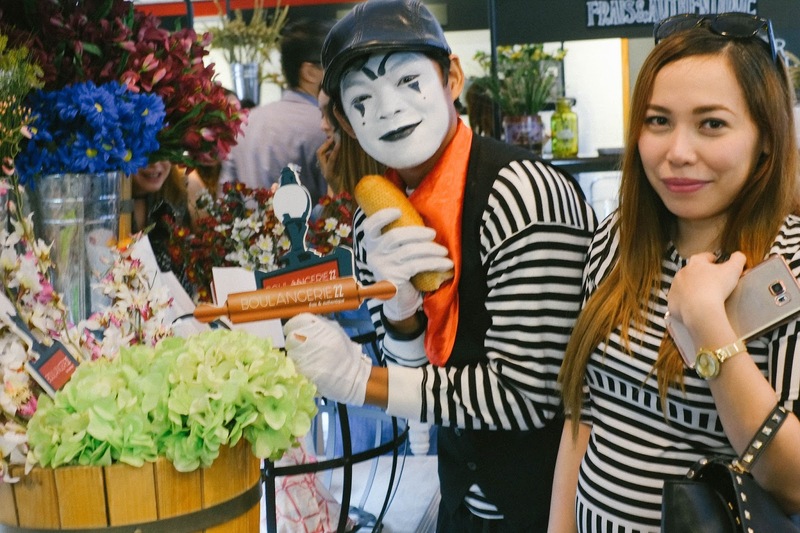 A happy few were lucky enough to discover before everyone else the newest and sweetest bakery in town, Boulangerie 22, with a predictably fun media launch and opening of its 7th store at One Legaspi Park Condominium in Makati. I know how crazy Friday traffic is but I was craving for sweets so I have decided to embark on a Bread and Cake Challenge at Boulangerie22. You know, kind of how the Food Network does a Burger one. But mine was all about the best breads, cookies and cakes. 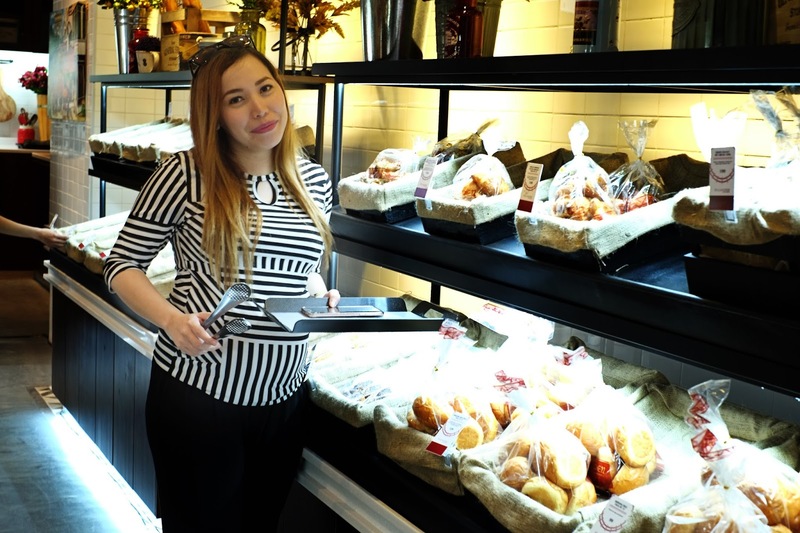 Bring on the carefully crafted breads and cakes, croissants, muffins, macarons– all the carbs! The list of what I want to try goes on and on and on. 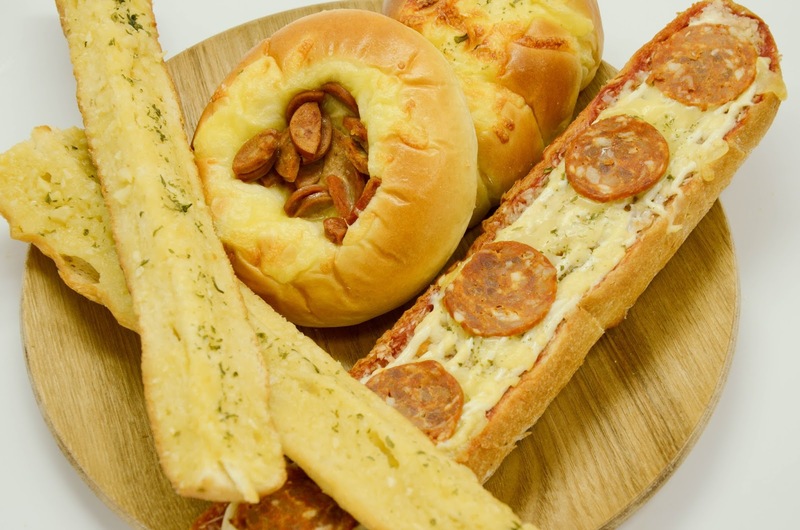 As a super pregnant and hormonal woman who much prefers eating a bread for snacks, I was thrilled to see how many food options B22 put on the menu. Honey-coated or plain, all of them were fantastic. This place is a recent and exciting food discovery for me. The atmosphere is very welcoming and warm with an almost European cafe feel. The interior and wall decors have countless quotable, Instagram-able and live this life-able snaps of sheer French bakery genius. Well, it was a crazy day because of the heavy traffic in Edsa but it got even crazier when I saw the crazy mime artists who were all over the place! Yes, we were matchy-matchy but no, I wasn't one of them. 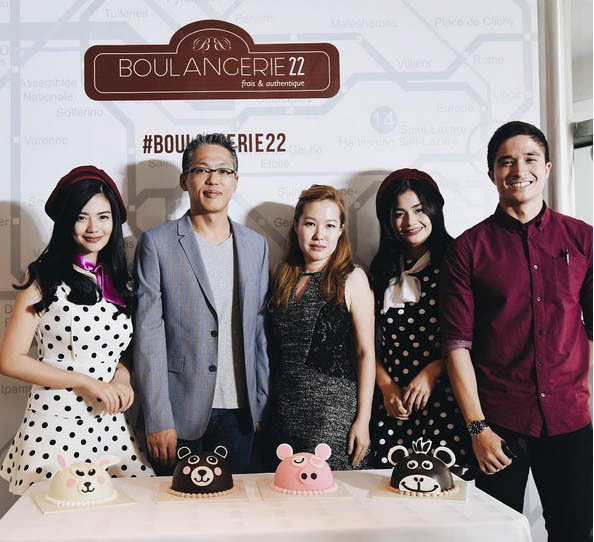 Vern and Verniece Enciso, Vince Velasco with the lovely people behind Boulangerie22, Mr. David Kim Amado and Ms. Andrea Amado, were present to welcome the guests. If this doesn't leave you hungry, are you even human? 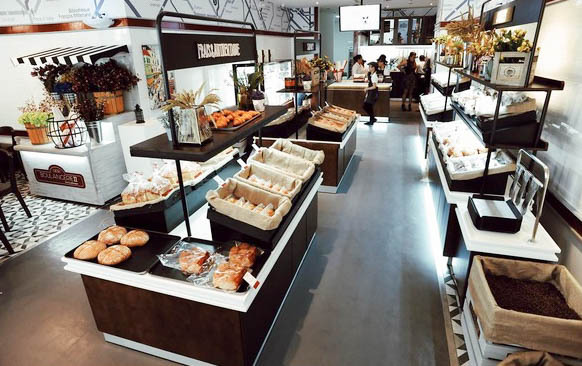 I can assure you that what you get from Boulangerie 22 is at par, if not better, from the authentic boulangeries in Paris and when you get to try it, I bet you are already half your way to a much better day. 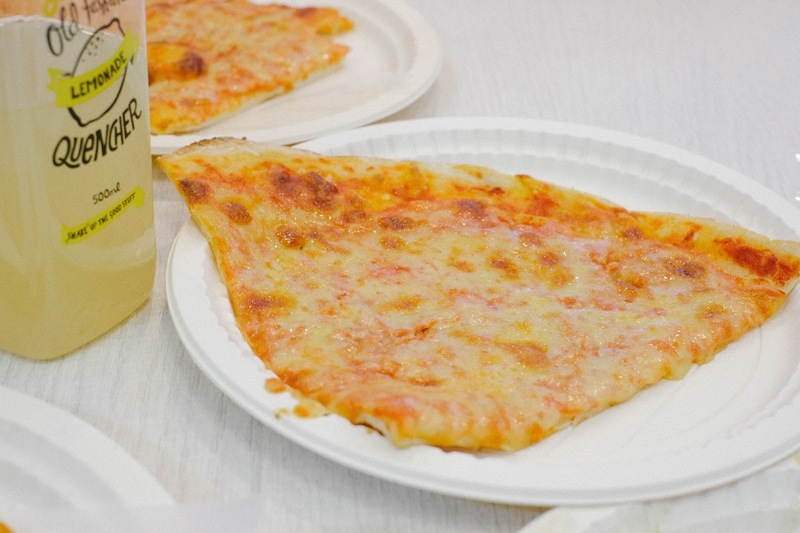 My top of the list is the must-try sourdough baguette, Sourdough Raisin Walnut Rye bread and Sourdough Pizza. Made with yeast, bacteria and whole grain flour, B22 prides itself with its signature dough recipe. I love it not only for its distinctive tangy flavor and roasted aroma, but also for its nutritious benefits too. The lactic acids in the sourdough make vitamins and minerals in the flour more available to the body, making it easier and more pleasant to digest. So it's perfect for a pregnant woman like me as well as for people who maintain low sugar intake. 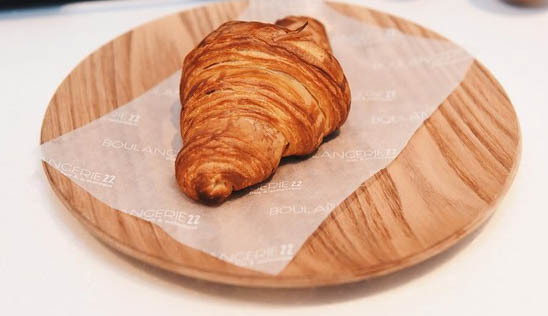 The Normandy Butter Croissant with 81 layers of pure goodness is so freakin' good here that it almost scared me, because I didn't want to stop at one. Seriously addicting! You've been warned. It's my absolute favorite; fluffy, light, flaky, buttery, with a distinctive taste and feel. What about this cake isn't smile-worthy? And don't even try to resist! It's just impossible to say no to Mr. Piggy! Made with vanilla chiffon with fresh strawberry buttercream covered in strawberry chocolate ganache, it can charm you with just one wink! 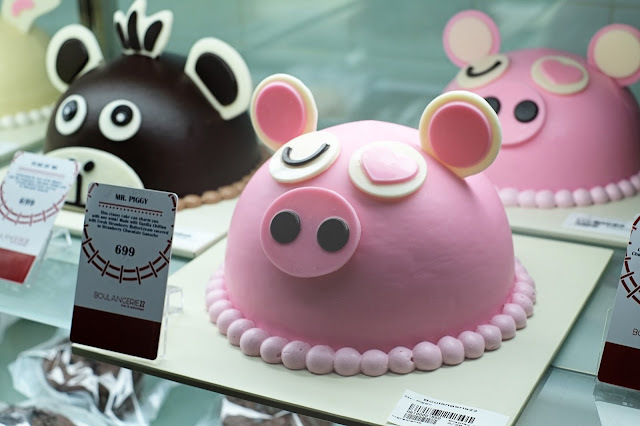 It's not overly sweet, like how most cakes are, plus it's quite affordable for only P699. They have varieties of cakes for you to chose from. I also love the Wake Me Up Mocha Cake, a light and Airy Mocha Chiffon in Mocha Buttercream topped with Espresso Syrup for only 699! I highly recommend their macarons to satisfy your sweet aching tooth, and piece is only at Php 39! 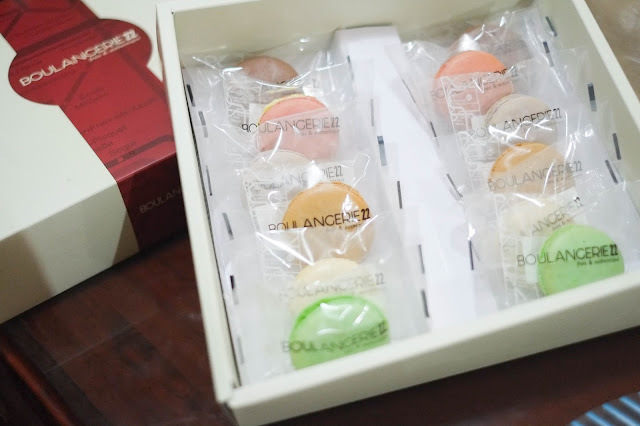 These small round macarons are crisp on the outside, soft in the middle, and come in flavors like green apple, chocolate, strawberry, maple, grape and vanilla. Need I say more? My personal favorites? Chocolate and maple. If I were faced with the choice of indulging in cookies or James Reid, that magical, chocolatey dream of a Dark Chocolate Macadamia cookie would win my heart. 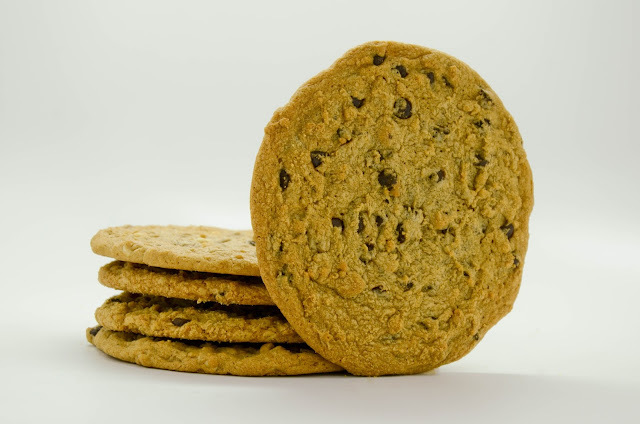 It will make you forget all the other cookies you've had before. Perhaps it's the perfectly soft, buttery dough that has the right amount of sweetness. 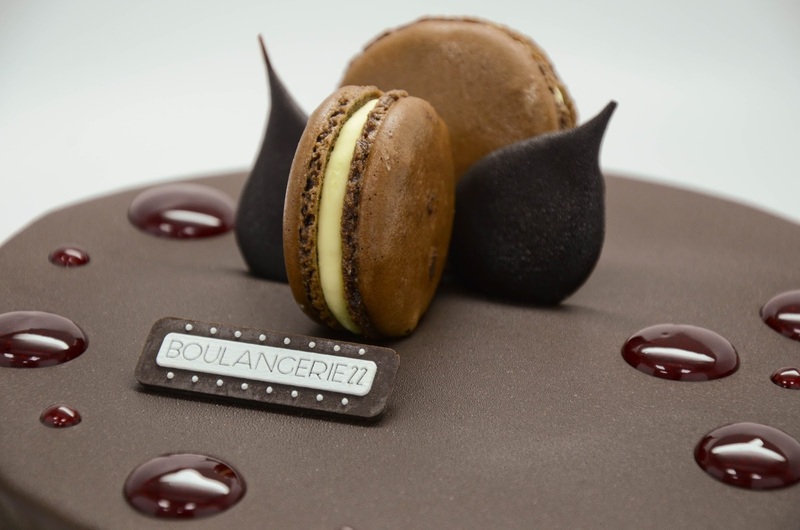 Pair it with Boulangeries22's coffee that is equally as good made with an amazing amount of attention to detail. 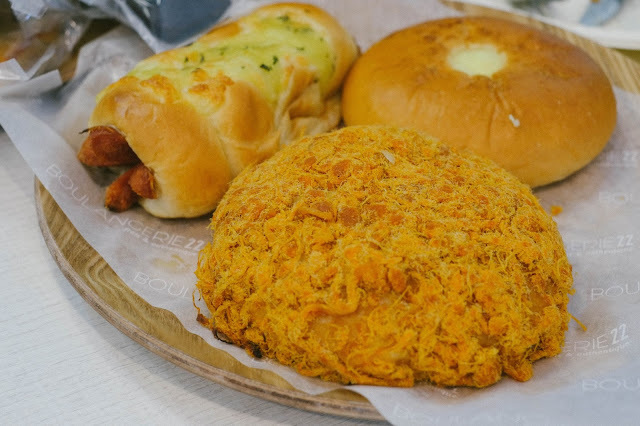 I love the smell of a freshly baked Spicy Chicken Floss bread. Each floss had a soft, buttery texture, and most important, they were not dried out. Because, a dry bread is one of my pet peeves. Well, I have yet to try some of their other menu items, but everything is affordable and made with love. 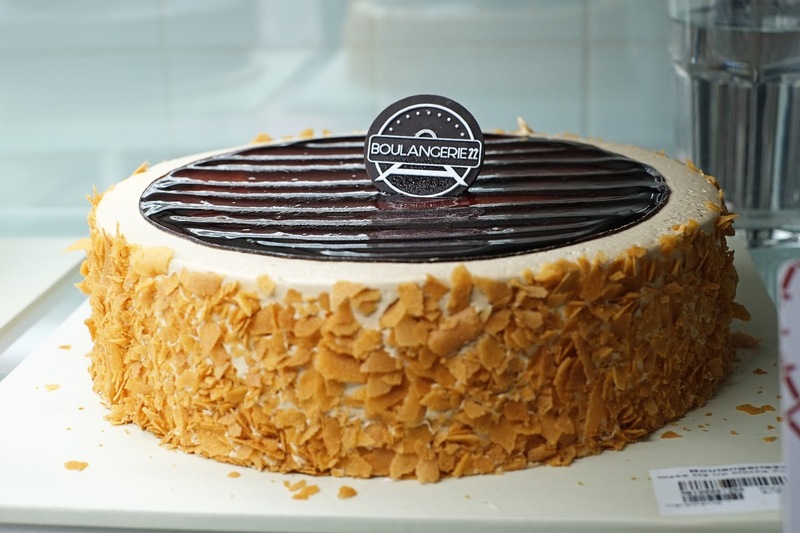 Every single one of their cake offerings is delicious, plus all pastries are fresh and satisfying! Will definitely come back for more. Until then, run in, order and enjoy this sweet spot in Makati. But seriously, do it. Have you tried any of their products yet? If not, check out www.boulangerie22.ph.